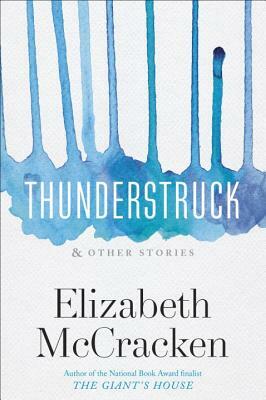 Elizabeth McCracken’s new collection, Thunderstruck & Other Stories, is her first book of short stories since 1993. 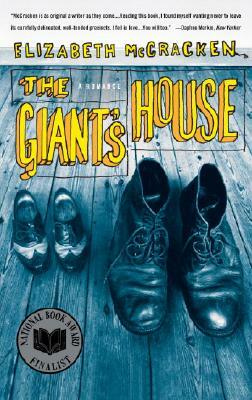 A graduate of the Iowa Writers’ Workshop, she is the author of a previous story collection, two novels (including The Giant’s House, which was a finalist for the National Book Award), and a memoir, An Exact Replica of a Figment of My Imagination. A former public librarian, McCracken has received grants and fellowships from the Guggenheim Foundation, the Radcliffe Institute for Advanced Study, the American Academy of Arts and Letters, and many other organizations. McCracken is a faculty member at the University of Texas at Austin, where she holds the James A. Michener Chair in Creative Writing. She is married to the novelist and illustrator Edward Carey. In a conversation with Lisa Lynne Lewis, McCracken talked about shifting between genres, being a "garbage disposal writer," and the importance of privacy while generating new work. Lisa Lynne Lewis: Following your first short story collection, you went on to publish two novels and a memoir. In your new collection, Thunderstruck, you thanked Michael Ray of Zoetrope: All Story, noting that he got you writing short stories again by asking “the right question at the right time.” Can you elaborate? 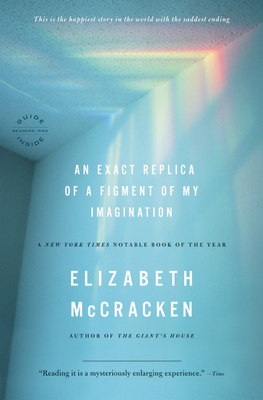 Elizabeth McCracken: Michael emailed me in the summer of 2005 to see if I’d written any short stories lately. I hadn’t, but I had written a novel that had fallen apart. To say I felt blue was an understatement! The fact that someone was interested in soliciting something of mine meant so much to me. I took a piece of the novel and changed almost everything about it and he accepted it. The story was “Some Terpsichore” and it was published in the Fall 2005 issue. LLL: The stories in your new collection are often lightened with humor, but death and loss also play a prominent role. Were you aware of these themes during the writing process? EM: When I put them all together I thought, Good heavens—boy, there’s a lot of death and injury in this collection! I hadn’t fully realized how much that was true when I was writing the stories. There are definitely jokes in them, but yes, I was really struck by how dark they are. The next thing I’m writing is a bit cheerier. Personally, I don't think short story collections need to have a theme, though some agents and publishers do. A good short story collection will hold together somehow because of the writer’s world view, if that makes sense. LLL: Your memoir, An Exact Replica of a Figment of My Imagination, was published in 2008; were the stories in Thunderstruck mostly written after this? EM: It took me a while before I thought I was writing a collection of stories. The earliest story in the collection is “Juliet,” which I wrote in 1998. “Some Terpsichore,” “Something Amazing,” and “The Lost & Found Department of Greater Boston” were all part of the novel that fell apart, so I wrote them a while ago but revised them more recently. I wrote “Hungry,” “Peter Elroy,” and “Thunderstruck” when I was on leave from teaching in the fall of 2012. LLL: Your memoir focuses on your first child, nicknamed Pudding, who was stillborn. In the book, you noted that you didn’t write a single word of it during your second pregnancy. When did you first think about writing about the experience? And what was it like to make the shift to writing memoir? EM: It was a big psychological shift for me. When I started writing the memoir in the summer of 2007, I hadn’t planned to publish it. My second child, Gus, was three weeks old when I started, and I wrote it quite quickly. When I was writing, I thought maybe I was taking notes for a novel I would write later on, and if I didn’t get it down on the page I would lose some of what it felt like. I wanted there to be as little distance between the experience and the writing, but I also knew I couldn’t have written the book while I was pregnant with Gus, when I spent as much time as possible not thinking about my first pregnancy. I showed the manuscript to my husband and asked him what he thought. He read it and said basically, “Yes, that was a terrible time in our lives.” When I asked him whether he’d object to it being published he said, “No, absolutely not.” Then I showed it to my agent, who’s a dear friend. He liked the manuscript, and that was when I thought about publishing it. LLL: What challenges did you face in shaping your experience into a story? EM: Actually, it happened amazingly naturally—everything about the shape of it and the chronological order came out as I was writing it. It’s human nature to want to give some order to something, to make it mean something. I wrote it mostly in June and July of 2007 and revised it very little, although my early readers gave a couple of suggestions for a little bit of foreshadowing. LLL: What was your intent in writing your memoir, and how did you feel having your story out in the world? EM: Part of the writing process was as a way to understand what had happened. The easiest way for me to think about the experience was to write about it. I think of myself as a shockingly private person—the book obviously is personal, and yet there was something about putting the experience into a book that made it much easier to live with. It didn’t feel so much a secret as it did private. If somebody wanted to know what the experience was like they could read the book. This was preferable to having to talk about it with everybody or even worse, not talk about it with everybody. The thing that made me nuts in the weeks after Pudding died was that people wouldn’t talk about what had happened—that people’s natural instincts were to not talk about it. LLL: What kind of response did you receive when your memoir was published? EM: Most of the readers I hear from are women—and some men—whose children were stillborn and want to share their stories. That surprised me. Right after my own experience, I didn’t want to read anybody else’s story about it. I still get emails. Some of them are from people who have lost a child really recently. It’s incredibly moving and desperately sad. It means a lot to me that the book is comforting to people. LLL: After you received your MFA from the Iowa Writers’ Workshop, you went back to school for a master’s degree in library science and then worked full-time as a librarian for many years. Can you talk about this, including the relationship to your writing? EM: An MFA is not a professional degree—it’s an arts degree; it doesn’t necessarily qualify you for a specific job. The teaching jobs you get right after an MFA have high course loads and lots of work—you don’t get much writing done! I’d worked in libraries from the time I was 15, shelving books and then working behind the circulation desk. I found that being a librarian didn’t use the same real estate in my brain that writing did: I could compartmentalize my day job as separate from my writing. If I’m thinking about student work I think about my own work in a different way. LLL: Your son is seven and your daughter is five, and you run the creative writing program at the University of Texas at Austin. How do you carve out time for writing? What's your writing process like? EM: I don’t write much while I’m teaching. I do my best to be unbelievably present during the semester and then when the semester ends, the iron gate comes down! I do best when it’s a policy—it may be the librarian in me. Generally speaking, I work long hours during vacations. I’m a terrifically inefficient writer—even before I had kids I was never somebody who wrote for hours every day. I turn off the Internet when I write. I don’t have a smart phone. And I write better when I’m sleep deprived. I’m a real garbage disposal writer—anything that happens, I cram into my writing. The story “Juliet” was inspired by a murder that happened in Massachusetts when I was a librarian. There really was somebody who brought in an injured bird, and there was someone who peed in the book drop. And the rabbit in the children’s room was based on an actual rabbit. EM: I'm working on a novel—that’s all I want to say about it. Most of the published writers I know wish they could get back to the privacy they had when they were writing their first book. I got back some of that privacy when I was writing An Exact Replica, and I’m trying again to be able to work on something without talking about it.